1. Truelove E., Fielding A.K., Hunt B.J. The coagulopathy and thrombotic risk associated with L-asparaginase treatment in adults with acute lymphoblastic leukaemia. Leukemia 2013;27:553–9. doi: 10.1038/leu.2012.290. 2. Nowak-Göttl U., Kenet G., Mitchell L.G. Thrombosis in childhood acute lymphoblastic leukaemia: epidemiology, aetiology, diagnosis, prevention and treatment. Best Pract Res Clin Haematol 2009;22:103–14. doi: 10.1016/j.beha.2009.01.003. 3. Aderka D., Praff G., Santo M., Weinberger A., Pinkhas J. Bleeding due to thrombocytopenia in acute leukemias and reevaluation of the prophylactic platelet transfusion policy. Am J Med Sci 1986;291:147–51. doi: 10.1097/00000441-198603000-00001. 4. Payne J.H., Vora A.J. Thrombosis and acute lymphoblastic leukaemia. Br J Haematol 2007;138:430–45. doi: 10.1111/j.1365-2141.2007.06677.x. 5. Caruso V., Iacoviello L., Di Castelnuovo A., Storti S., Mariani G., de Gaetano G., Donati M.B. Thrombotic complications in childhood acute lymphoblastic leukemia: a meta-analysis of 17 prospective studies comprising 1752 pediatric patients. Blood 2006;108:2216–22. doi: 10.1182/blood-2006-04-015511. 6. Sehgal S., Sharma S., Chandra J., Nangia A. Coagulation profi le during induction chemotherapy in childhood acute lymphoblastic leukemia. Indian J Pathol Microbiol 2017;60:50–6. doi: 10.4103/0377-4929.200029. 7. Kuhle S., Massicotte P., Chan A., Adams M., Abdolell M., de Veber G., Mitchell L. Systemic thromboembolism in children. Data from the 1-800-NO-CLOTS Consultation Service. Thromb Haemost 2004;92:722–8. doi: 10.1160/TH04-04-0207. 8. Bushman J.E., Palmieri D., Whinna H.C., Church F.C. Insight into the mechanism of asparaginase-induced depletion of antithrombin III in treatment of childhood acute lymphoblastic leukemia. Leuk Res 2000;24:559–65. doi: 10.1016/S0145-2126(00)00017-5. 9. Mitchell L.G., Halton J.M., Vegh P.A., Barr R.D., Venneri T., Pai K.M., Andrew M.E. Eff ect of disease and chemotherapy on hemostasis in children with acute lymphoid leukemia. Am J Pediatr Hematol Oncol 1994;16:120–6. PMID: 8166364. 10. Appel I.M., Hop W.C.J., van Kessel-Bakvis C., Stigter R., Pieters R. L-Asparaginase and the eff ect of age on coagulation and fi brinolysis in childhood acute lymphoblastic leukemia. Thromb Haemost 2008;100:330–7. doi: 10.1160/TH07-10-0620. 11. Mall V., Thomas K.B., Sauter S., Niemeyer C.M., Sutor A.H. Eff ect of glucocorticoids, E. coli- and Erwinia L-asparaginase on hemostatic proteins in children with acute lymphoblastic leukemia. Klin Padiatr 1999;211:205–10. doi: 10.1055/s-2008-1043789. 12. Lipets E.N., Ataullakhanov F.I. Global assays of hemostasis in the diagnostics of hypercoagulation and evaluation of thrombosis risk. Thromb J 2015;13(1):4. doi: 10.1186/s12959-015-0038-0. 13. Panteleev M.A., Hemker H.C. Global/integral assays in hemostasis diagnostics: promises, successes, problems and prospects. Thromb J 2015;13:5. doi: 10.1186/s12959-014-0032-y. 14. Rozen L., Noubouossie D., Dedeken L., Huybrechts S., Lê P.Q., Ferster A., Demulder A. Diff erent profi le of thrombin generation in children with acute lymphoblastic leukaemia treated with native or pegylated asparaginase: A cohort study. Pediatr Blood Cancer 2017;64:294–301. doi: 10.1002/pbc.26228. 15. Gheldof D., Haguet H., Dogné J.M., Bouvy C., Graux C., George F., Sonet A., Chatelain C., Chatelain B., Mullier F. Procoagulant activity of extracellular vesicles as a potential biomarker for risk of thrombosis and DIC in patients with acute leukaemia. J Thromb Thrombolysis 2017;43:224–32. doi: 10.1007/s11239-016-1471-z. 16. Tullius B.P., Athale U., van Ommen C.H., Chan A.K.C., Palumbo J.S., Balagtas J.M.S. ; Subcommittee on Hemostasis and Malignancy and the Subcommittee on Pediatric/Neonatal Thrombosis and Hemostasis. The identifi cation of at-risk patients and prevention of venous thromboembolism in pediatric cancer: guidance from the SSC of the ISTH. J Thromb Haemost 2017;16(1):175–80. doi: 10.1111/jth.13895. 17. Wiegering V., Schmid S., Andres O., Wirth C., Wiegering A., Meyer T., Winkler B., Schlegel P.G., Eyrich M. Thrombosis as a complication of central venous access in pediatric patients with malignancies: a 5-year single-center experience. BMC Hematol 2014;14(1):18. doi: 10.1186/2052-1839-14-18. 18. Паровичникова Е.Н., Савченко В.Г., Исаев В.Г., Соколов А.Н., Куликов С.М., Клясова Г.А. Итоги многоцентрового исследования по лечению острых миелоидных лейкозов взрослых. Терапевтический архив 2007;79:14–9. [Parovichnikova E.N., Savchenko V.G., Isaev V.G., Sokolov A.N., Kulikov S.M., Klyasova G.A. Results of a multicenter study on the treatment of adult acute myeloid leukemia. Terapevticheskiy arkhiv = Therapeutic Archive 2007;79:14–9. (In Russ.)]. 19. Madhusoodhan P.P., Carroll W.L., Bhatla T. Progress and Prospects in Pediatric Leukemia. Curr Probl Pediatr Adolesc Health Care 2016;46:229–41. doi: 10.1016/j.cppeds.2016.04.003. 20. Злокачественные новообразования в России в 2016 г. (заболеваемость и смертность). Под ред. А.Д. Каприна, В.В. Старинского, Г.В. Петровой. М.: МНИОИ им. П.А. Герцена, филиал ФГБУ «НМИЦ радиологии» Минздрава России, 2018. [Malignancies in Russia in 2016 (morbidity and mortality). A.D. Kaprin, V.V. Starinskiy, G.V. Petrova (eds.). M.: MNIOI named after P.A. 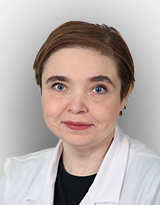 Gertsen – affi liate FGBU NMIC radiology, Ministry of Health of Russia, 2018. (In Russ.)]. 21. Slats A.M., Egeler R.M., van der Does-van den Berg A., Korbijn C., Hählen K., Kamps W.A., Veerman A.J.P., Zwaan C.M. Causes of death--other than progressive leukemia--in childhood acute lymphoblastic (ALL) and myeloid leukemia (AML): the Dutch Childhood Oncology Group experience. Leukemia 2005;19(4):537–44. doi: 10.1038/sj.leu.2403665. 22. Creutzig U., Rössig C., Dworzak M., Stary J., von Stackelberg A., Wössmann W., Zimmermann M., Reinhardt D. Exchange Transfusion and Leukapheresis in Pediatric Patients with AML With High Risk of Early Death by Bleeding and Leukostasis. Pediatr Blood Cancer 2016;63:640–5. doi: 10.1002/pbc.25855. 23. Lieberman F., Villgran V., Normolle D., Boyiadzis M. Intracranial Hemorrhage in Patients Newly Diagnosed with Acute Myeloid Leukemia and Hyperleukocytosis. Acta Haematol 2017;138:116–8. doi: 10.1159/000478690. 24. Dicke C., Amirkhosravi A., Spath B., Jiménez-Alcázar M., Fuchs T., Davila M., Francis J.L., Bokemeyer C., Langer F. Tissue factordependent and -independent pathways of systemic coagulation activation in acute myeloid leukemia: a single-center cohort study. Exp Hematol Oncol 2015;4:1–15. doi: 10.1186/s40164-015-0018-x. 25. López-Pedrera C., Jardí M., del Mar Malagón M., Inglés-Esteve J., Dorado G., Torres A., Félez J., Velasco F. Tissue factor (TF) and urokinase plasminogen activator receptor (uPAR) and bleeding complications in leukemic patients. Thromb Haemost 1997;77:62–70. doi: 10.1055/s-0038-1655908. 26. Negaard H.F., Iversen P.O., Ostenstad B., Mowinckel M.C., Sandset P.M. Increased acquired activated protein C resistance in unselected patients with hematological malignancies. J Thromb Haemost 2008;6:1482–7. doi: 10.1111/j.1538-7836.2008.03060.x. 27. Mackman N. New insights into the mechanisms of venous thrombosis. J Clin Invest 2012;122:2331–6. doi: 10.1172/JCI60229. 28. Stucki A., Rivier A., Gikic M., Monai N., Schapira M., Spertini O. Endothelial cell activation by myeloblasts : molecular mechanisms of leukostasis and leukemic cell dissemination Endothelial cell activation by myeloblasts : molecular mechanisms of leukostasis and leukemic cell dissemination. Blood 2001;97:2121–9. doi: 10.1182/blood.V97.7.2121. 29. Röllig C., Ehninger G. How I treat hyperleukocytosis in acute myeloid leukemia. Blood 2015;125(21):3246–52. doi: 10.1182/blood-2014-10-551507. 30. Comont T., Tavitian S., Bardiaux L., Fort M., Debiol B., Morère D., Bérard E., Delabesse E., Luquet I., Martinez S., Huguet F., Récher C., Bertoli S. Platelet transfusion refractoriness in patients with acute myeloid leukemia treated by intensive chemotherapy. Leuk Res 2017;61:62–7. doi: 10.1016/j.leukres.2017.08.015. 31. Psaila B., Bussel J.B., Frelinger A.L., Babula B., Linden M.D., Li Y., Barnard M.R., Tate C., Feldman E.J., Michelson A.D. Diff erences in platelet function in patients with acute myeloid leukemia and myelodysplasia compared to equally thrombocytopenic patients with immune thrombocytopenia. J Thromb Haemost 2011;9:2302–10. doi: 10.1111/j.1538-7836.2011.04506.x. 32. Hudák R., Debreceni I.B., Deák I., Szabó G.G., Hevessy Z., AntalSzalmás P., Osterud B., Kappelmayer J. Laboratory characterization of leukemic cell procoagulants. Clin Chem Lab Med 2017;55:1215–23. doi: 10.1515/cclm-2017-0021. 33. Falanga A., Barbui T., Rickles F.R. Hypercoagulability and tissue factor gene upregulation in hematologic malignancies. Semin Thromb Hemost 2008;34:204–10. doi: 10.1055/s-2008-1079262. 34. Khorana A.A., Francis C.W., Culakova E., Kuderer N.M., Lyman G.H. Frequency, risk factors, and trends for venous thromboembolism among hospitalized cancer patients. Cancer 2007;110:2339–46. doi: 10.1002/cncr.23062. 35. Bang O.Y., Chung J.W., Lee M.J., Kim S.J., Cho Y.H., Kim G.M., Chung C.S., Lee K.H., Ahn M.J., Moon G.J. Cancer cell-derived extracellular vesicles are associated with coagulopathy causing ischemic stroke via tissue factor-independent way: The OASISCANCER study. PLoS One 2016;11(7):e0159170. doi: 10.1371/journal.pone.0159170. 36. Liaw P.C., Ito T., Iba T., Thachil J., Zeerleder S. DAMP and DIC: The role of extracellular DNA and DNA-binding proteins in the pathogenesis of DIC. Blood Rev 2016;30:257–61. doi: 10.1016/j.blre.2015.12.004. 37. De Stefano V., Sorà F., Rossi E., Chiusolo P., Laurenti L., Fianchi L., Zini G., Pagano L., Sica S., Leone G. The risk of thrombosis in patients with acute leukemia: Occurrence of thrombosis at diagnosis and during treatment. J Thromb Haemost 2005;3:1985–92. doi: 10.1111/j.1538-7836.2005.01467.x. 38. Румянцев А.Г., Масчан А.А. Федеральные клинические рекомендации по диагностике и лечению острого миелоидного лейкоза, 2014 [Электронный ресурс]: http://nodgo.org/sites/default/fi les/ФКР (дата обращения 20.06.2018). [Rumyantsev A.G., Maschan A.A. Federal clinical guidelines for the diagnosis and treatment of acute myeloid leukemia, 2014 [Electronic resource]: http://nodgo.org/sites/ default/fi les/ФКР (appeal date 20.06.2018). (In Russ.)]. 39. Caruso V., Iacoviello L., Di Castelnuovo A., Storti S., Mariani G., de Gaetano G., Donati M.B. Thrombotic complications in childhood acute lymphoblastic leukemia: a meta-analysis of 17 prospective studies comprising 1752 pediatric patients. Blood 2006;108:2216–22. doi: 10.1182/blood-2006-04-015511. 40. Tsunaka M., Shinki H., Koyama T., Maraveyas A., Madden L., Willems G. Cell-based evaluation of changes in coagulation activity induced by antineoplastic drugs for the treatment of acute myeloid leukemia. PLoS One 2017;12:e0175765. doi: 10.1371/journal.pone.0175765. 41. Athale U., Chan A. Thromboembolic Complications in Pediatric Hematologic Malignancies. Semin Thromb Hemost 2007;33:416–26. doi: 10.1055/s-2007-976177. 42. Monagle P., Chan A.K.C., Goldenberg N.A., Ichord R.N., Journeycake J.M., Nowak-Göttl U., Vesely S.K. Antithrombotic therapy in neonates and children: Antithrombotic Therapy and Prevention of Thrombosis, 9th ed: American College of Chest Physicians Evidence-Based Clinical Practice Guidelines. Chest 2012;141(2 Suppl):e737S–e801S. doi: 10.1378/chest.11-2308. 43. Speiser W., Pabinger-Fasching I., Kyrle P.A., Kapiotis S., KottasHeldenberg A., Bettelheim P., Lechner K. Hemostatic and fi brinolytic parameters in patients with acute myeloid leukemia: Activation of blood coagulation, fi brinolysis and unspecifi c proteolysis. Blut 1990;61:298–302. PMID: 2271776. 44. Weltermann A., Pabinger I., Geissler K., Jäger U., Gisslinger H., Knöbl P., Eichinger S., Kyrie P.A., Valent P., Speiser W., Schwarzinger I., Mannhalter C., Lechner K. Hypofi brinogenemia in non-M3 acute myeloid leukemia. Incidence, clinical and laboratory characteristics and prognosis. Leukemia 1998;12:1182–6. doi: 10.1038/sj.leu.2401101. 45. Reddy V.B., Kowal-Vern A., Hoppensteadt D.A., Kumar A., Walenga J.M., Fareed J., Schumacher H.R. Global and molecular hemostatic markers in acute myeloid leukemia. Am J Clin Pathol 1990;94:397–403. doi: 10.1177/1076029607302435. 46. Larsen A.M., Leinøe E.B., Johansson P.I., Birgens H., Ostrowski S.R. Haemostatic function and biomarkers of endothelial damage before and after RBC transfusion in patients with haematologic disease. Vox Sang 2015;109:52–61. doi: 10.1111/vox.12249. 47. Libourel E.J., Klerk C.P.W., van Norden Y., de Maat M.P.M., Kruip M.J., Sonneveld P., Löwenberg B., Leebeek F.W.G. Disseminated intravascular coagulation at diagnosis is a strong predictor for both arterial and venous thrombosis in newly diagnosed acute myeloid leukemia. Blood 2016;128:1854–61. doi: 10.1182/blood-2016-02-701094. 48. Testi A.M., D'Angiò M., Locatelli F., Pession A., Lo Coco F. Acute promyelocytic leukemia (APL): comparison between children and adults. Mediterr J Hematol Infect Dis 2014;6:e2014032. doi: 10.4084/mjhid.2014.032. 49. Румянцев А.Г., Масчан А.А., Хачатрян Л.А. Федеральные клинические рекомендации по лечению острого промиелоцитарного лейкоза у детей, 2015. [Электронный ресурс]: http://nodgo.org/sites/ default/fi les/ФКР (дата обращения 20.06.2018). [Rumyantsev A.G., Maschan A.A., Khachatryan L.A. Federal clinical guidelines for the treatment of acute promyelocytic leukemia in children, 2015 [Electronic resource]: http://nodgo.org/sites/default/fi les/ФКР (appeal date 20.06.2018). (In Russ.)]. 50. Stein E.M., Tallman M.S. Acute promyelocytic leukemia in children and adolescents. Acta Haematol 2014;132:307–12. doi: 10.1159/000365117. 51. Mantha S., Tallman M.S., Soff G.A. Whatʼs new in the pathogenesis of the coagulopathy in acute promyelocytic leukemia? Curr Opin Hematol 2016;23:121–6. doi: 10.1097/MOH.0000000000000221. 52. Kwaan H.C. The unique hemostatic dysfunction in acute promyelocytic leukemia. Semin Thromb Hemost 2014;40:332–6. doi: 10.1055/s-0034-1370792. 53. Yan J., Wang K., Dong L., Liu H., Chen W., Xi W., Ding Q., Kieff er N., Caen J.P., Chen S., Chen Z., Xi X. PML/RARalpha fusion protein transactivates the tissue factor promoter through a GAGC-containing element without direct DNA association. Proc Natl Acad Sci U S A 2010;107:3716–21. doi: 10.1073/pnas.0915006107. 54. Dombret H., Scrobohaci M.L., Ghorra P., Zini J.M., Daniel M.T., Castaigne S., Degos L. Coagulation disorders associated with acute promyelocytic leukemia: corrective eff ect of all-trans retinoic acid treatment. Leukemia 1993;7:2–9 . PMID: 8418375. 55. Sakata Y., Murakami T., Noro A., Mori K., Matsuda M. The specifi c activity of plasminogen activator inhibitor-1 in disseminated intravascular coagulation with acute promyelocytic leukemia. Blood 1991;77:1949–57. PMID: 1708294. 56. Mitrovic M., Suvajdzic N., Elezovic I., Bogdanovic A., Djordjevic V., Miljic P., Djunic I., Gvozdenov M., Colovic N., Virijevic M., Lekovic D., Vidovic A., Tomin D. Thrombotic events in acute promyelocytic leukemia. Thromb Res 2015;135:588–93. doi: 10.1016/j.thromres.2014.11.026. 57. Rashidi A., Silverberg M.L., Conkling P.R., Fisher S.I. Thrombosis in acute promyelocytic leukemia. Thromb Res 2013;131:281–9. doi: 10.1016/j.thromres.2012.11.024. 58. Yokoyama H., Takahashi N., Katsuoka Y., Inomata M., Ito T., Meguro K., Kameoka Y., Tsumanuma R., Murai K., Noji H., Ishizawa K., Ito S., Onishi Y., Harigae H. Evaluation of the safety and effi cacy of recombinant soluble thrombomodulin for patients with disseminated intravascular coagulation associated with acute leukemia: multicenter prospective study by the Tohoku Hematology Forum. Int J Hematol 2017;105:606–13. doi: 10.1007/s12185-017-2190-8. 59. Chang H., Kuo M.C., Shih L.Y., Wu J.H., Lin T.L., Dunn P., Tang T.C., Hung Y.S., Wang P.N. Acute promyelocytic leukemia-associated thrombosis. Acta Haematol 2013;130:1–6. doi: 10.1159/000345833. 60. Mitrovic M., Suvajdzic N., Bogdanovic A., Kurtovic N.K., Sretenovic A., Elezovic I., Tomin D. International Society of Thrombosis and Hemostasis Scoring System for disseminated intravascular coagulation ≥ 6: A new predictor of hemorrhagic early death in acute promyelocytic leukemia. Med Oncol 2013;30(1):478. doi: 10.1007/s12032-013-0478-y. При поддержке: Работа Ф.И. Атауллаханова была поддержана грантом Российского научного фонда № 16-14-00224, работа А.Н. Баландиной и Е.М. Кольцовой была поддержана грантом президента для молодых ученых МК-913.2017.4 и грантом Российского научного фонда 17-74-10224, работа М.А. Пантелеева была поддержана грантом Российского фонда фундаментальных исследований № 17-04-01309. Авторы выражают благодарность врачебному и административному коллективу ФГБУ «НМИЦ ДГОИ им. Дмитрия Рогачева» Минздрава России за содействие в организации и проведении научных исследований, результаты которых упомянуты в данном обзоре.